SPEC is a proud partner of this innovative program for businesses starting October 22nd. It’s no longer a question of whether or not we need to get smarter about the role of our businesses in the greater ecosystem. We no longer have a choice. Without big, bold, innovative change we’re going to run out of time. 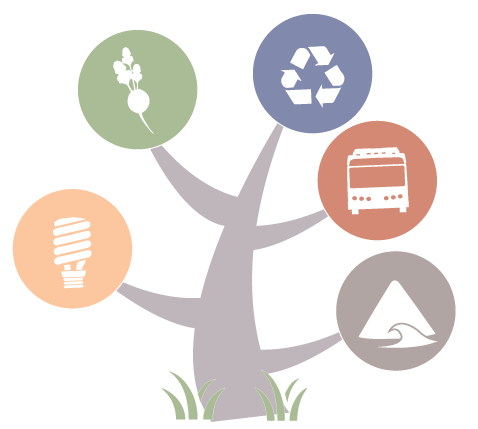 We need businesses that serve the community and the environment without sacrificing the bottom line. If you are a Textile or Hospitality leader, or anyone who is in their current or future value chains, please join us by clicking here and ‘Apply Now’. If you are not, please spread the word by recommending another business leader in either of these industries (who is just as open and innovative as you are!). SPEC is partnering with Kitsilano Neighbourhood House and David Suzuki Foundation to host a Candidates meeting. 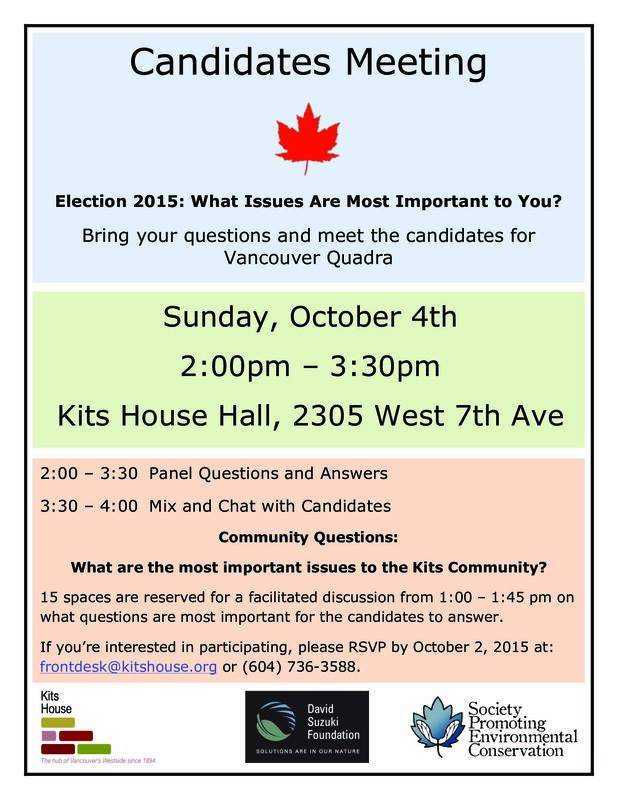 Bring your questions and meet the candidates for Vancouver Quadra. Where? Kits House Hall, 2305 West 7th Ave. Please join us and also help us spread the word. In June, Pope Francis published his encyclical letter on the environment: Laudato Si’: Praise Be To You. The title comes from the “Canticle of the Sun,” a beautiful poem written by Francis of Assisi, the patron saint of ecologists. Now I don’t know about other encyclicals – this is the only one I have ever read – but for me this one truly is a revelation. While there are some areas where environmentalists will take issue with the Pope (for example, he neither supports nor rejects genetically-modified food and he is opposed to biocentrism), in this encyclical the Pope clearly aligns himself with the environmental movement. At the heart of Francis’ analysis is his charge that the environmental crisis is rooted in an “efficiency-driven paradigm of technocracy” (123) that views the earth as a commodity to be ravaged for profit. This paradigm has resulted in extreme social and economic inequality on a global scale, with the poor of the earth being disproportionately impacted by pollution, climate change, depletion of fresh water, and loss of biodiversity. Human society and the natural environment have deteriorated together and, in the language of liberation theology, we are now hearing “both the cry of the earth and the cry of the poor” (33). “Doomsday predictions can no longer be met with irony or disdain. We may well be leaving to coming generations debris, desolation and filth. The pace of consumption, waste and environmental change has so stretched the planet’s capacity that our contemporary lifestyle, unsustainable as it is, can only precipitate catastrophes, such as those which even now periodically occur in different areas of the world. The effects of the present imbalance can only be reduced by our decisive action, here and now. We need to reflect on our accountability before those who will have to endure the dire consequences” (107). For Francis, the world is a miraculous, luminous gift of God in which every living thing – person, animal, and plant – is related. Humans have a responsibility for its loving care and stewardship. (It was, he says, an incorrect and dangerous interpretation of the book of Genesis that gave the justification for human “dominion” over the earth ). But for the past 200 years we have failed spectacularly in providing this care. While he is obviously deeply grounded in his tradition, the Pope hopes that his audience is broad. Respectful dialogue between scientists, politicians, faith groups, non-governmental organizations, and the general public are needed if we are to find a solution to the environmental crisis. Nothing short of a “bold, cultural revolution” (78) is required if we are to create a society in which the common good is the highest ethical principal – until this happens neither the poor nor the environment will be cared for or protected. Of particular interest to Vancouverites is Francis’ call to build affordable housing and sustainable transportation systems, which are necessary in order for people to have a sense of dignity and self worth. Also of interest, in light of recent work to alleviate loneliness in the city, is his call to create urban spaces and neighbourhoods in which people feel less isolated and alone (101-103). While Francis recognizes that the situation is dire, he does believe that what we may think of as small efforts (such as recycling and reducing water use) can in fact change the world. “They benefit society, often unbeknown to us, for they call forth a goodness which, albeit unseen, inevitably tends to spread” (138). We can only hope that the effect of this encyclical, along with all the words spoken and work done by citizens, will ripple out to change our world. By Margaret Miller, SPEC Volunteer. SPEC’s Master Recycler Program is underway – but it is not too late to join us! Master Recyclers are trained on waste prevention, recycling and composting through this extensive eight week course featuring experts from industry and field trips to local waste processing and recycling facilities. Once training is complete, participants are guided to spend 30 hours doing community outreach, such as staffing booths at events, designing and implementing waste reduction and recycling projects, and educating their neighbourhood or strata. When they have completed their 30 volunteer hours, participants become Certified Master Recyclers and are encouraged to continue their community outreach. The program continues to November 17 and includes 8 courses and 2 field trips. Classes began on September 22 but interested people are still welcome to drop in. 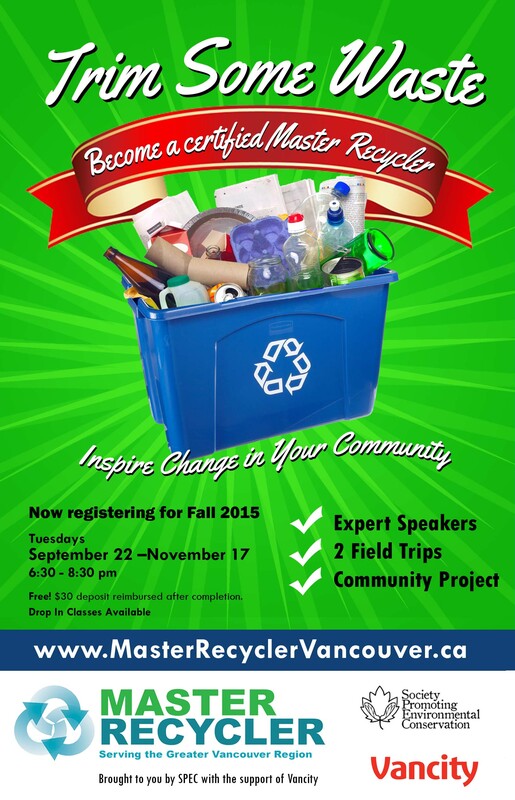 For more information contact zerowaste@spec.bc.ca. 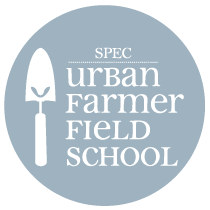 Learn the art of fruit tree canopy management at the Urban Farmer Field School Pruning class. In this class you will learn about pruning cuts to maximize fruit production, tree growth, common diseases, and the proper shape of a canopy. 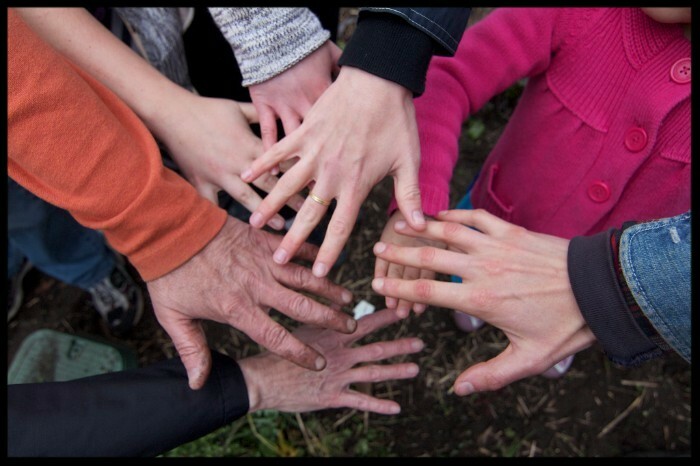 It’s a great opportunity to learn how to be an urban orchardist! This class takes place on November 7 from 1-4 p.m. at Queen Elizabeth Elementary School, 4102 West 16th Avenue, Vancouver. The instructor is Dr. Kent Mullinix.